In line with its continuous focus on quality, CCL Scandinavia is pleased to announce it has received certification of its quality management system from Bureau Veritas Certification. The scope of the certification covers ‘the planning and execution of post-tensioned concrete constructions including manufacturing of steel strip sheaths for prestressing tendons in compliance with EN 523 category 1 and 2 and provision of joints and bearings.’ The ISO 9001:2015 Certificate and Declarations of Performance are all available in the downloads section. CCL Scandinavia is one of the leading Scandinavian companies in the areas of prestressed concrete and foundations, helping to deliver innovative, cost-effective structures. The company is part of the CCL group which provides specialized engineered solutions for structures. 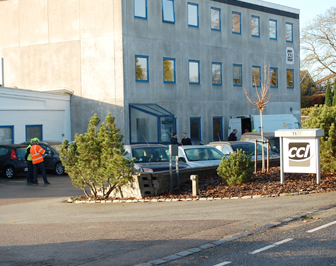 CCL employs over 700 people across the globe, around 50 of whom are based in Scandinavia. CCL Scandinavia is made up of three business areas, Post-tensioning, Geotechnical and Products. 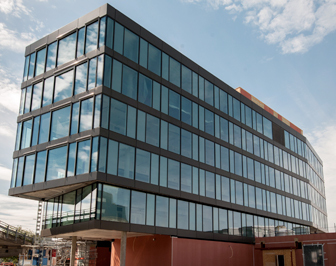 Using cutting-edge technologies, CCL Scandinavia specializes in the design, supply and installation of vertical post-tensioning systems, post-tensioned slabs and post-tensioning for civil structures. 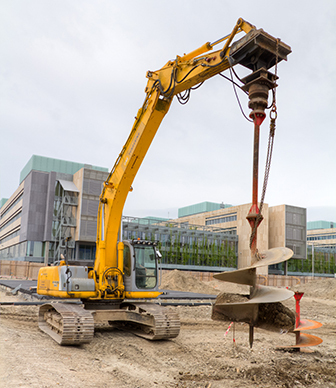 The geotechnical division, CCL Fundering, offers a comprehensive geotechnical service for foundations, piling, retaining walls, moisture barriers, basement and sewers, in new and existing structures. CCL Scandinavia also provides products and equipment used for post-tensioning, foundation works and the manufacture of precast concrete. CCL Scandinavia provides post-tensioning solutions for structures. The company utilises CCL-designed anchorages and high-strength steel strands to apply a compressive force to the concrete, overcoming its natural weakness in tension to enable the construction of even more innovative buildings and civil structures. CCL Scandinavia provides a range of high quality products for use in the prestressing industry. Designed and manufactured to ensure ultimate levels of performance and safety, CCL’s specialized components and equipment are used in precast plants and on construction projects throughout Scandinavia. CCL Fundering provides customized foundation, sewer and moisture barrier solutions for private clients and for contractors on both new construction projects and existing structures. The company combines many years of experience gained from projects undertaken across Denmark with a high level of technical expertise. Early involvement at project development stage allows CCL Fundering to devise the optimum solution tailored to the client’s requirements. The company works in collaboration with a number of geotechnical consultants to provide complete foundation solutions for clients.